Did you know that a whole lot of snow can mean more mosquitoes? Or that an early spring can actually be a bad thing if you don’t like bugs? 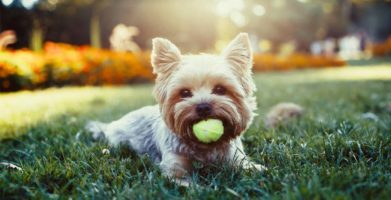 Rodents, insects, and other pests are affected by the weather. The National Pest Management Association studied the data and created a Bug Barometer to forecast pest problems based on winter conditions and regional differences. We’re here to interpret that information for you and help you figure out what to do. For people living on the East Coast, a colder than normal winter may mean delayed pest activity. But record snowfall in the northeast, and the usual humidity of the southeast will lead to a lot of moisture, creating favorable conditions for mosquitoes and ants. Mosquitoes are annoying! Every creature serves a purpose, but it’s hard to appreciate these little blood-suckers. Mosquitoes are known to transmit serious diseases ranging from malaria, Dengue Fever, and West Nile Virus. 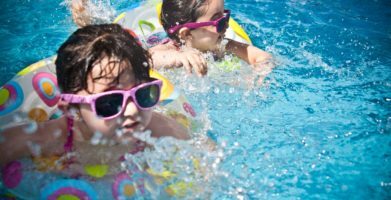 The best way to protect yourself is to avoid mosquitoes all together, but don’t miss out on summer fun just to avoid this bothersome bug. 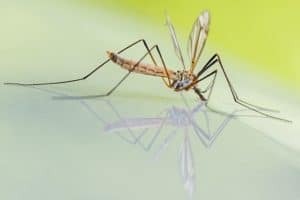 Mosquitoes are attracted to the carbon dioxide we make when we breathe, as well as to our body heat which signals that we’ve got a hot meal coursing through our veins, ready and waiting for them. You can mask your scent with insect repellent. Stay Away® Mosquitoes is a skin friendly insect repellent that has been proven effective and is made with ingredients recommended by the CDC. Dark colors also attract mosquitoes, and make your body warmer — opt for light colored clothing. Wearing long sleeves and pants will also help prevent mosquito bites by covering more of your skin. Keeping your yard well maintained will also help limit mosquito populations. They need water to lay their eggs in, and actually spend the first 10 days of their lives underwater. Clean gutters, remove leaf or brush piles, and take care of anything that might hold stagnant water like bird baths or unused containers. …but their numbers are large! Ants don’t generally bite or spread disease the way mosquitoes do so they might seem less threatening, but ants work together in large groups, known as colonies. Seeing just one ant is very unlikely. Ants are interesting little creatures. They can even be good for a garden or compost pile to aerate soil and break down organic matter, but no one wants a swarm of ants inside their home or crashing their picnic. Aside from being unsightly, they can contaminate food. 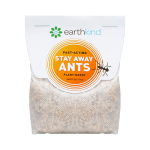 Many of the products designed to get rid of ants work using dangerous chemicals which many people prefer to avoid as well. 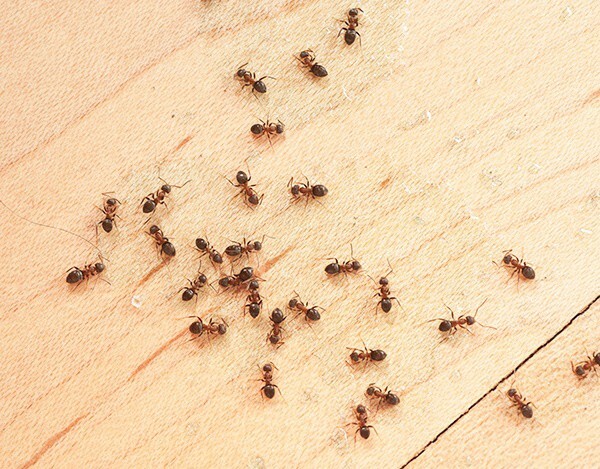 You can keep ants out without any chemicals by using a preventative approach. Inside, make sure there aren’t any food sources left out in the open — store food in airtight containers, wash dirty dishes right away, wipe down tables and counters, sweep floors regularly. Outside, trim shrubs and trees away from the house so ants don’t have a greenway leading inside. Keep woodpiles away from the house as ants and other pests love nesting there. Rake your lawn or use a mower with a bag to reduce grass clippings which offer pests cover. Natural problems like pests are a part of life — but so are natural solutions. 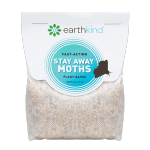 Solving life’s little nuisances is easy with EarthKind®. Preventing pests with all natural repellents using essential oils is safe and effective. You can find our Stay Away® natural pest prevention line in a store near you, or order it online. This time of year, we recommend using Stay Away Ants in addition to following the tips above to make sure your spring fling is ant free! The best way to protect yourself is to avoid mosquitoes all together, but don’t miss out on summer fun just to avoid this bothersome bug. Mosquitoes are attracted to the carbon dioxide we make when we breathe, as well as to our body heat which signals that we’ve got a hot meal coursing through our veins, ready and waiting for them. You can mask your scent with insect repellent. Stay Away® Mosquitoes is a skin friendly insect repellent that has been proven effective and is made with ingredients recommended by the CDC. Dark colors also attract mosquitoes, and make your body warmer -- opt for light colored clothing. Wearing long sleeves and pants will also help prevent mosquito bites by covering more of your skin. You can keep ants out without any chemicals by using a preventative approach. 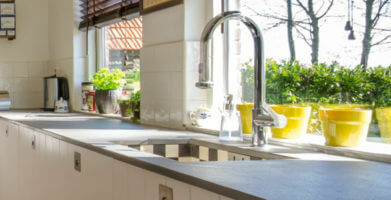 Inside, make sure there aren’t any food sources left out in the open -- store food in airtight containers, wash dirty dishes right away, wipe down tables and counters, sweep floors regularly. Outside, trim shrubs and trees away from the house so ants don’t have a greenway leading inside. Keep woodpiles away from the house as ants and other pests love nesting there. Rake your lawn or use a mower with a bag to reduce grass clippings which offer pests cover. Natural problems like pests are a part of life -- but so are natural solutions. 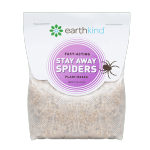 Solving life’s little nuisances is easy with EarthKind®. Preventing pests with all natural repellents using essential oils is safe and effective. You can find our Stay Away® natural pest prevention line in a store near you, or order it online. This time of year, we recommend using Stay Away Ants in addition to following the tips above to make sure your spring fling is ant free! 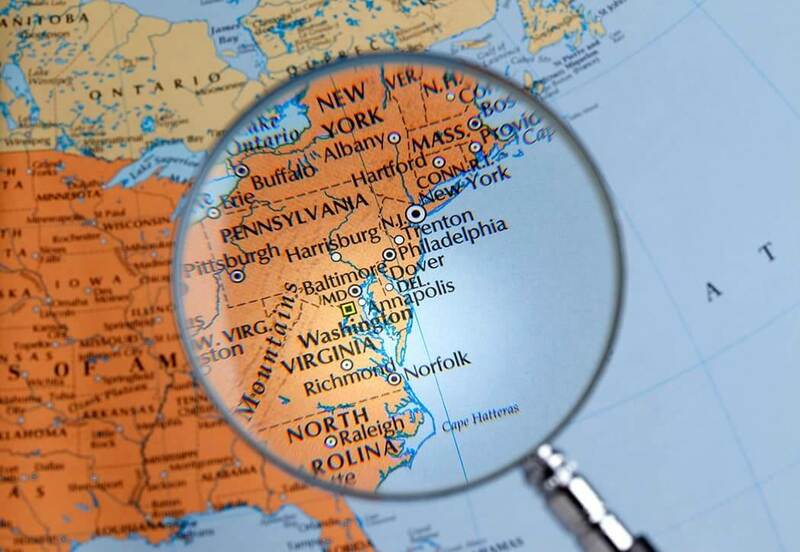 string(70) "Insect Alert: East Coast Poised for Pest Problems after Winter Weather"